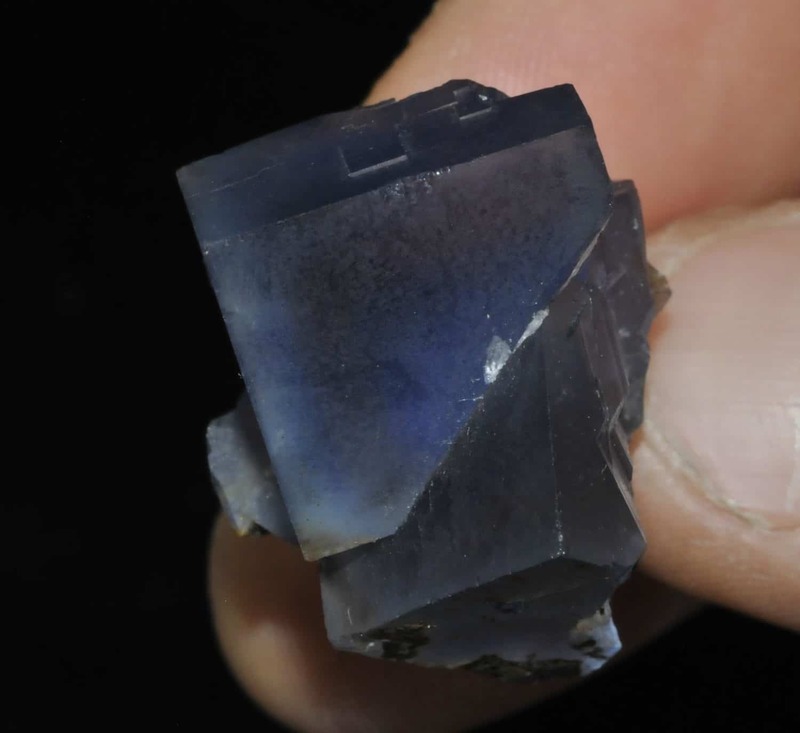 Small set of crystals of blue fluorite from the mine of Mont-Roc, in Tarn, France. 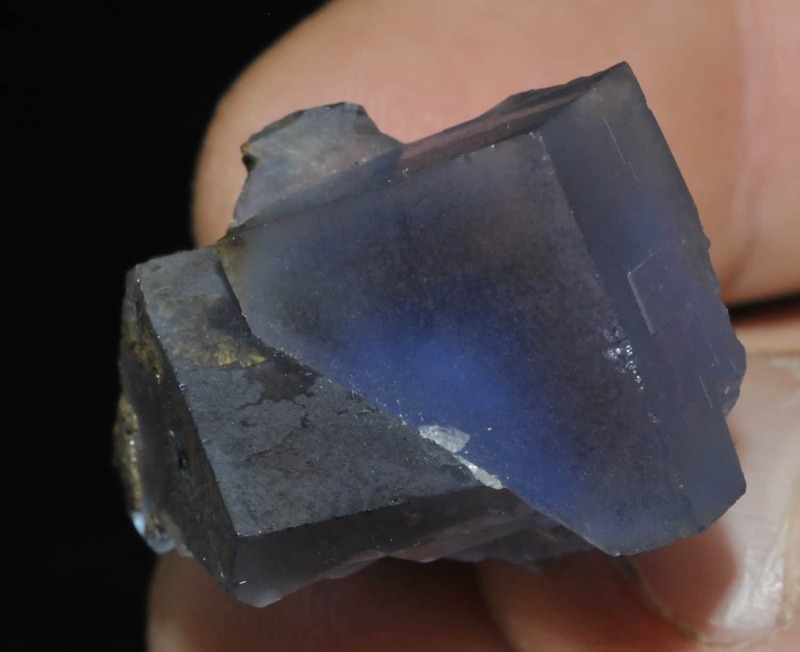 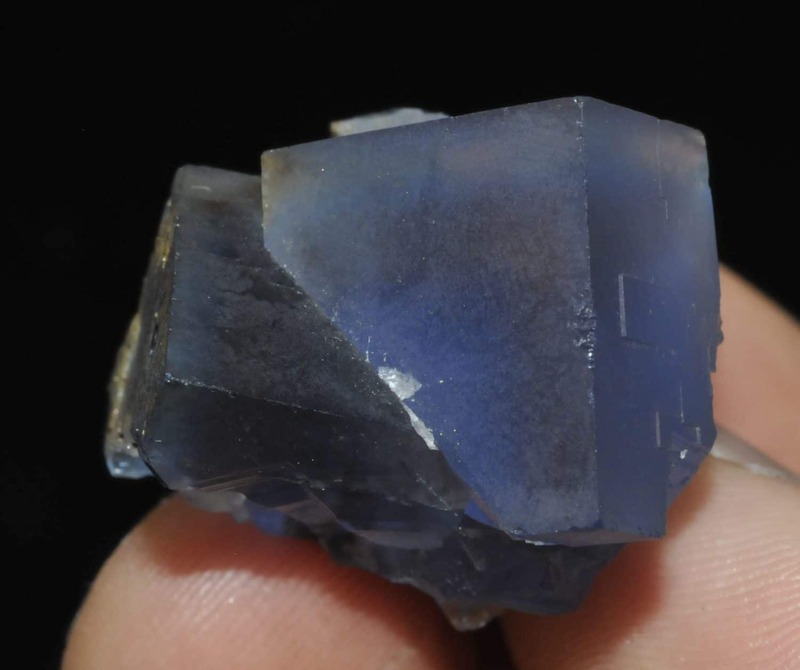 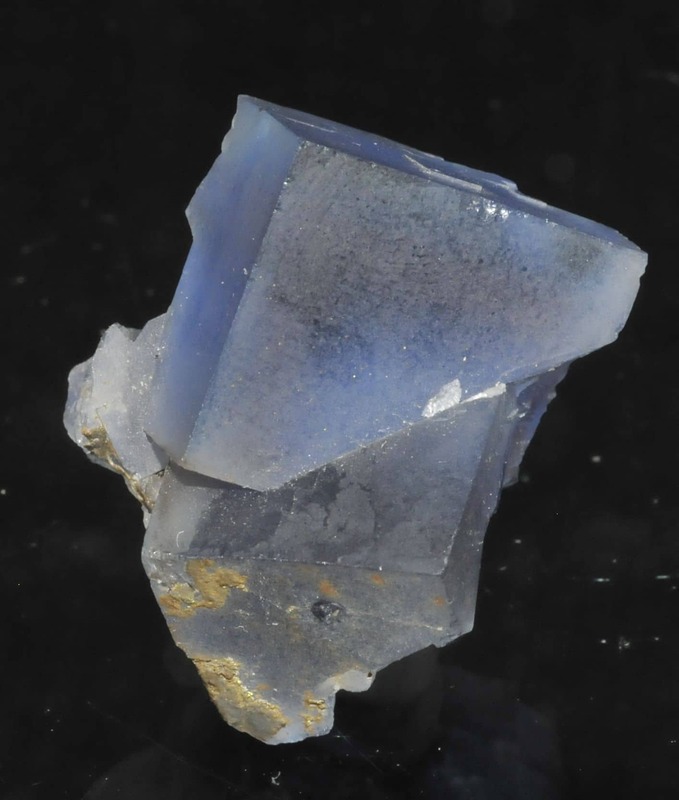 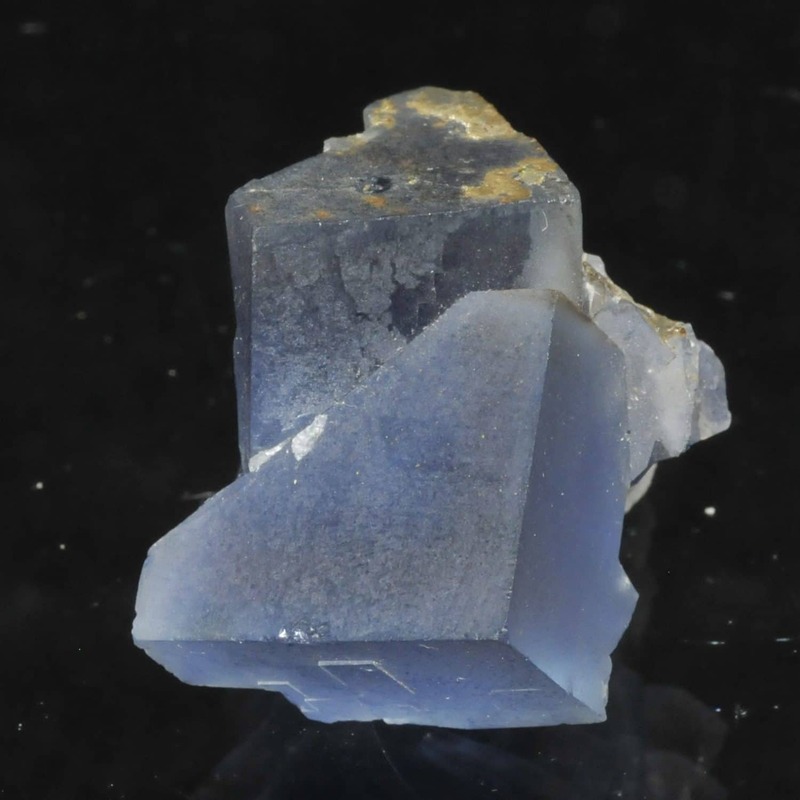 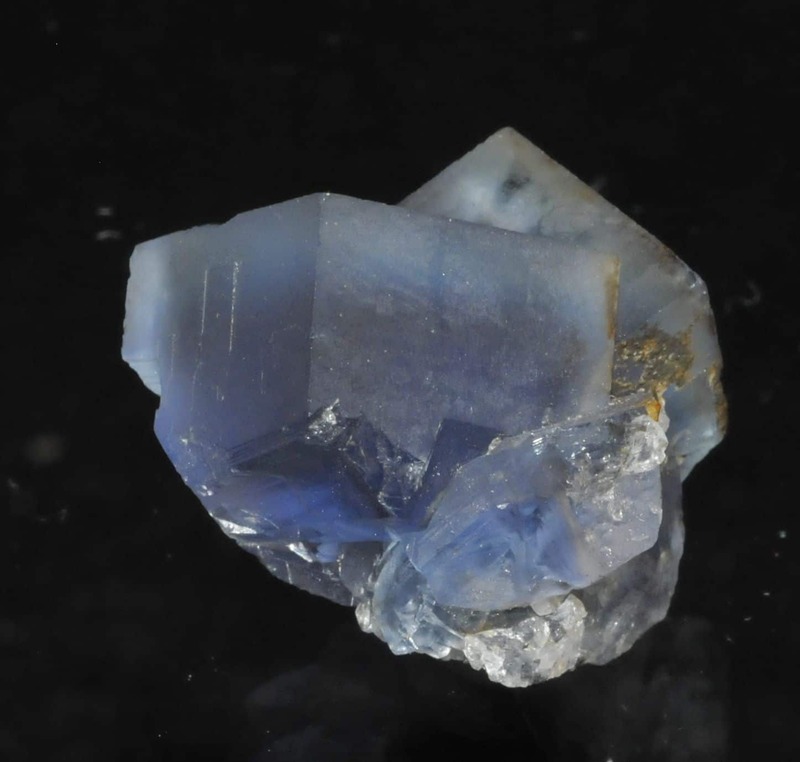 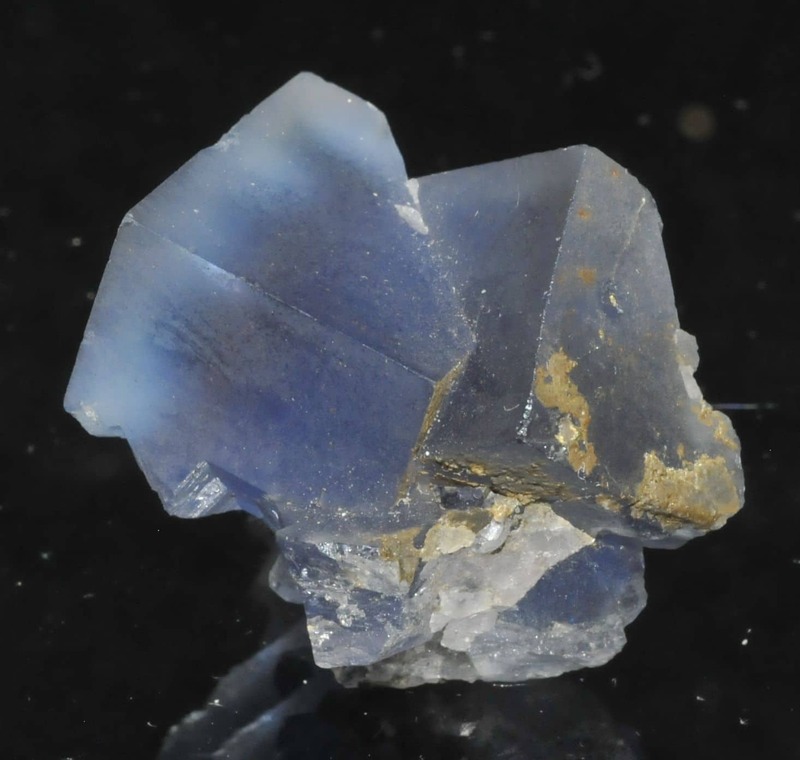 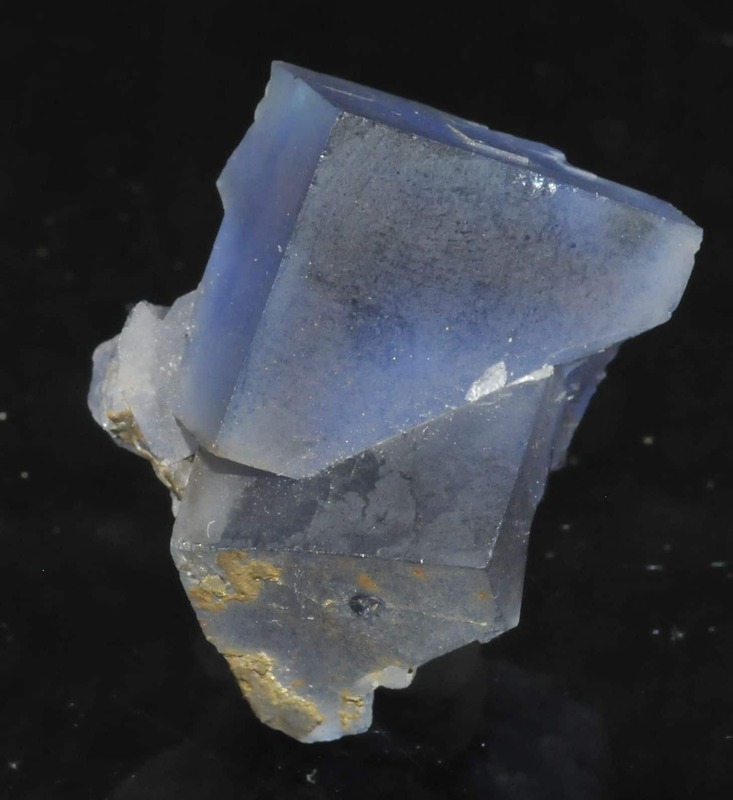 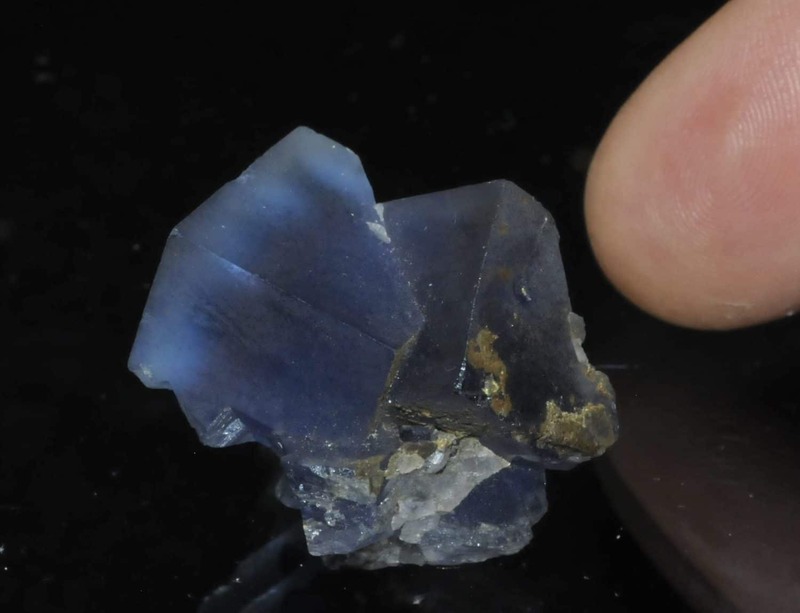 Small beautiful piece from the French fluorite collection of Eric Asselborn. 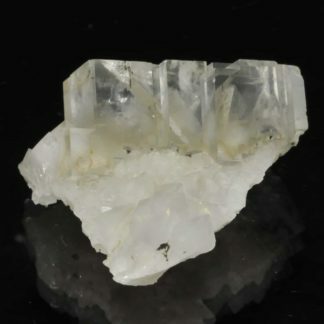 The largest crystal is about 1.8 x 1.5 cm.